Sri Lanka is becoming a major spot for watching Whales and Dolphins. 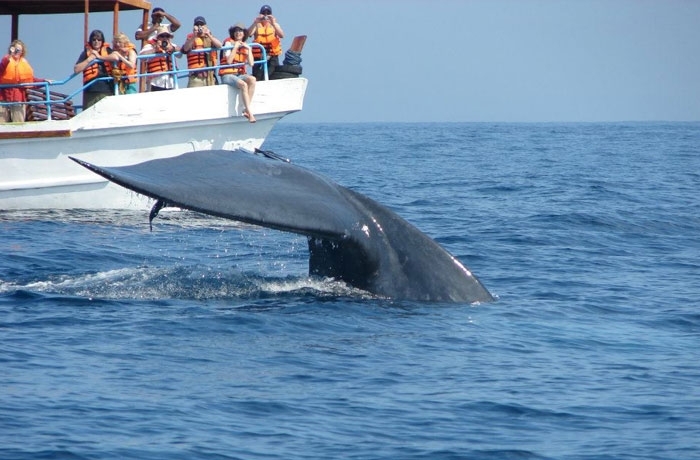 Dondra Point of down south in Sri Lanka is the main port of Whale Watching in Sri Lanka during November to April. December, January and April are the peak months of sightings. During these months there is 95% chances of spotting Sperm Whales and great chances of spotting Blue Whales as their migration path is just off Dondra Point. We are able to arrange Whale Watching Trips off Dondra Point in a fully insured trawler boat which will last for 3 hours. Also there are good chances of spotting Spinner Dolphins also off Dondra. Ample accommodation options are available as Dondra point can be reach easily from Hikkaduwa, Galle, Unawatuna, Weligama, Mirissa and Tangalle which are popular beach locations in Sri Lanka. Mirissa is the closest point to Dondra Point with good accommodation options. Sinharaja Rain Forest is a world heritage site and major eco-tourism destination, also described as a Tropical Lowland Rainforest or Tropical Wet Evergreen Forest. 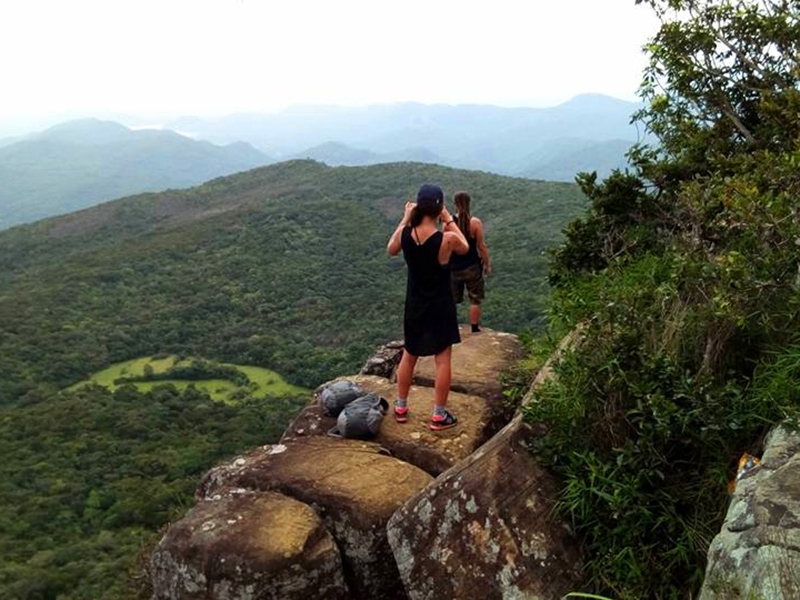 a rich treasure trove of nature with a great diversity of habitats and a vast repository of Sri Lanka's endemic species found nowhere else in the world. 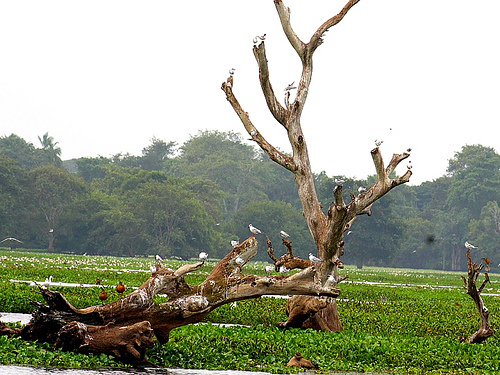 Bird Watching in this ecosystem is particularly interesting is home to 95% of the endemic birds of Sri Lanka! 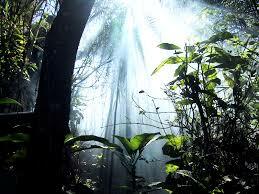 Named as a world heritage site in 1989, this lowland evergreen rain forest is steeped in deep legend and mystery. The word ‘Sinharaja' means, Lion (Sinha) King (Raja), and it is popular belief that the legendary origin of the Sinhala people is from the union between a princess and the lion king who once lived in the forest! Annaiwilundawa, it is one of the finest wetlands in the island for water birds.November to April is best for migrant birds declared a sanctuary in 1997 91 km post on the A3, 5 km past Arachchikattuwa town, is a turn-off to the left. Approximately 1.2 km down this road is Suruwila tank on your left and to your right is the main Annaiwilundawa tank. Wild life Grebe, Lesser Whistling-duck and Cotton Teal Waterfowl Asian Open bill .Colombo and Negombo makes this wetland an excellent day’s visit for birdwatchers. 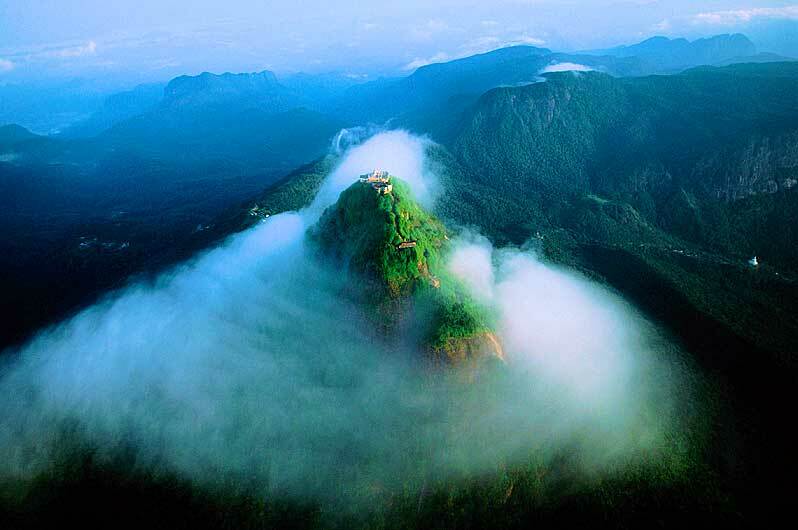 Eco-tourism venue of Sri Lanka and has been declared a conservation area, now known as the KNUCKLES NATIONAL HERITAGE AND WILDERNESS The region stretches an impressive 155 sq km that contains five major forest formations, a wide variety of rare and endemic flora and fauna, breathtaking mountain scenery of Sri Lanka. It is a real paradise for those who love to hike or mountain bike , offering numerous mountainous trails that journey across clear rivers, through dense forests, past flowing waterfalls and lush tea plantations, and alongside terraced paddy fields and colorful home gardens.